Okay, Flavia is not enjoying the summer. She hasn't been enjoying anything for about 6 months (I won't go into details that would be spoilers for the previous book). 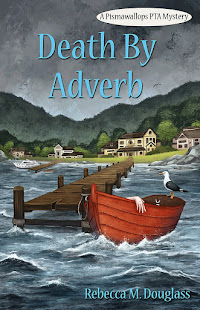 But the discovery of a corpse is just the tonic she needs, because Flavia is delightfully unlike most of us, and considers nothing so uplifting as a corpse. Better still if she thinks that corpse got that way with help. Flavia has been doing some growing up in the past 6 months, I think, as is mostly betokened by the fact that she seems rather less of a know-it-all and more appreciative of her confederates. But her quick wit and knowledge of chemistry help fill in the gaps left by her lack of understanding of poetry or love, and as a narrator she is a delight. I like the new, less brash version of Flavia. She's not tamed; she's just gained some humanity. Relationships that have been left pretty undeveloped through the series are suddenly becoming important, and more nuanced. The mystery is good fun this time, too. 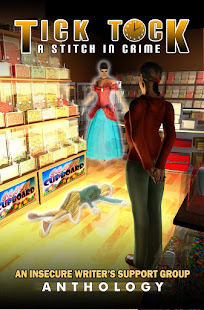 It's not completely certain that Flavia's corpse was murdered, but there is a history of murder in the town, and that provides lots for her to investigate. I was also very interested in how Bradley managed her researches in a place not her own home town, where the players aren't so well known to her. She does seem to have a grip on how to get information where she needs it, and uses well the reality that no one pays much attention to children. I call this a solid addition to the series, and goes a ways toward making me forgive the author for the heartbreak of the last book. There is some debate whether the series is for middle grades or adults; my library classifies it with adult mysteries, and I agree. Flavia may be 11, but the things she's investigating aren't for kids. Your child may disagree. 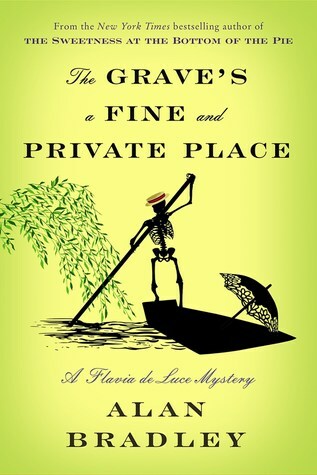 FTC Disclosure: I checked The Grave's a Fine and Private Place out of my library, and received nothing from the writer or publisher for my honest review. The opinions expressed are my own and those of no one else. I am disclosing this in accordance with the Federal Trade Commission's 16 CFR, Part 255: "Guides Concerning the Use of Endorsements and Testimonials in Advertising." I start to be more interested in reading Flavia's adventures. Maybe the development of the character as she goes is part of it. I really enjoy the books. I've read most of them as recorded books, and those are very good--maybe part of what brought me into the series in the first place, but really they are all enjoyable. Good to know. Also sounds like I really need to read this one in order. Yes, this is definitely a series to read in order.